In both name and tire partner, the IMSA MICHELIN Pilot Challenge has been reborn for 2019. The rebirth follows a legacy of intense competition and camaraderie set by its predecessor in two classes. With IMSA’s former tire partner also serving as the top Challenge series sponsor, the opportunity for the rebranding emerged. Michelin becomes the Official Tire of IMSA ahead of IMSA’s 50th anniversary season. 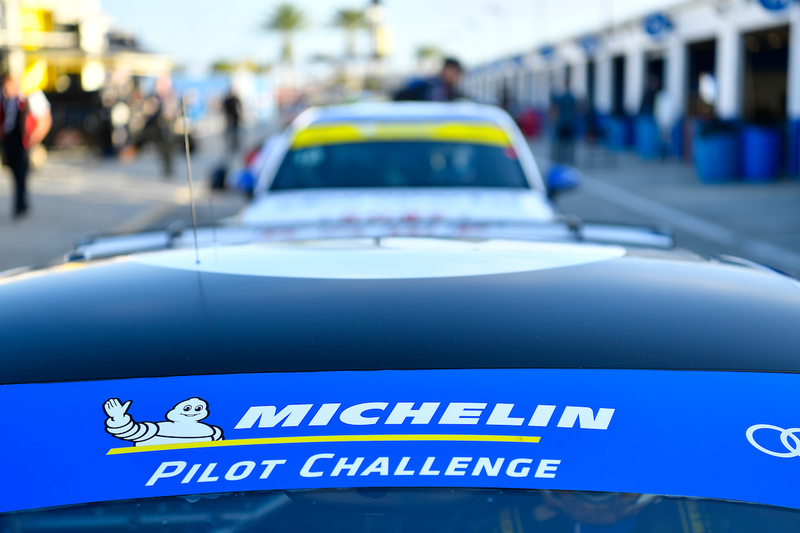 The MICHELIN Pilot Challenge series name marks an opportunity for Michelin to highlight its Pilot line of tires, and thus link the race-to-road connection within a race series name. The number of automotive brands that compete within the MICHELIN Pilot Challenge is stout and diverse. There are 11 brands in the 49-car field for the season-opening BMW Endurance Challenge. Consider in the GS class, which features GT4-spec machinery, five different brands made up the top five positions in last year’s championship. Mercedes-AMG, Ford, BMW, Porsche and Audi comprised those spots. 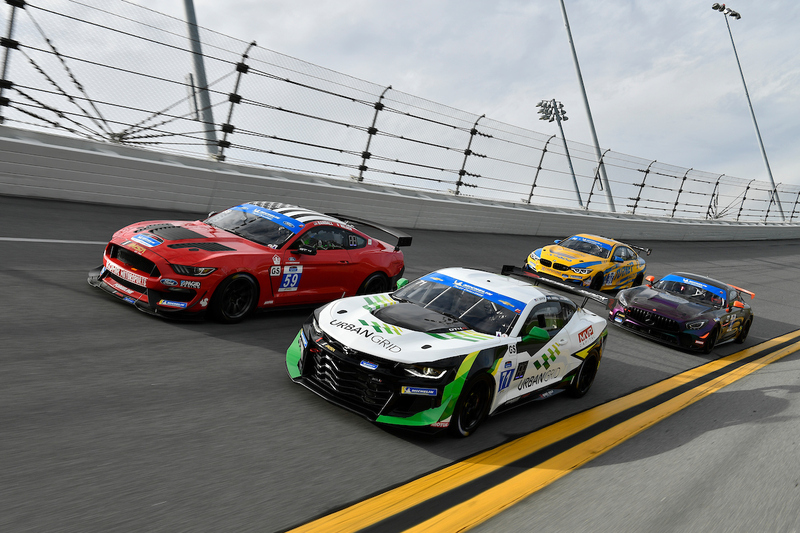 Each of the top four brands won at least once in GS competition, while Audi dominated the newly introduced TCR class with a clean sweep of the 10-race schedule. GS also includes McLaren with its 570S GT4, Chevrolet with its Camaro GT4.R, and Aston Martin with its new Vantage GT4. It’s TCR though where Audi is unlikely to break out the brooms for a second year running. Honda, Hyundai and Alfa Romeo join Audi and Volkswagen to comprise at least five potential brands in this class. There is not a VW entered for Daytona. The 10-race schedule is identical from 2018. Daytona and Watkins Glen feature four-hour endurance tests, with the other eight races all two hours in length. At Daytona, GS teams receive eight sets of tires and TCR teams six for the weekend. Minimum drive time is 45 minutes. GS and TCR will have new color identification. GS cars feature blue windscreens and number plates with white lettering. Meanwhile TCR will have yellow windscreens and number plates with blue lettering. Six different teams won in the 10-race GS calendar in 2018. A number of those teams and drivers are back for 2019, as part of a stout 35-car class at Daytona. Top among the list is Team TGM, the Ted Giovanis-owned and Joe Varde-led team. In 2018, Owen Trinkler and Hugh Plumb nabbed the crown. The pairing blended a common recipe for championship success – year-round consistency paired with opportunistic victories – and never finished lower than eighth in the 20-plus-car field until the final race of the year. 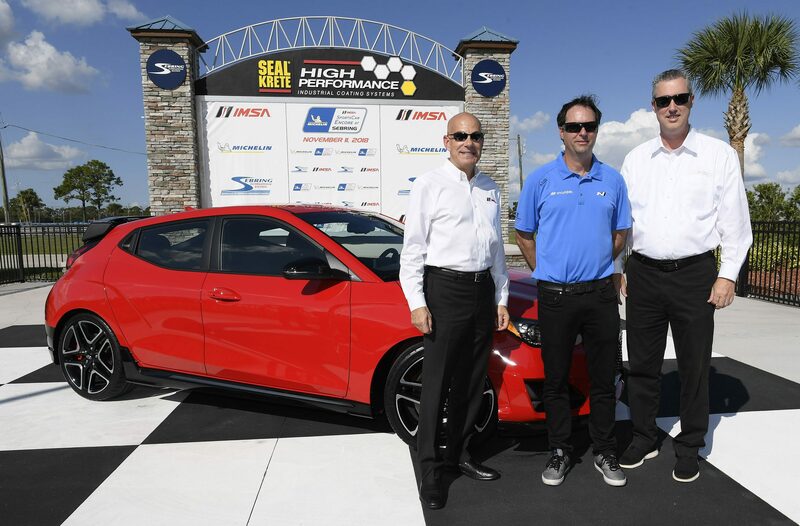 The pair of sports car veterans won at Lime Rock Park, VIR and WeatherTech Raceway Laguna Seca driving their No. 46 Mercedes-AMG GT4. Giovanis and Guy Cosmo share the team’s second car, which premieres at Daytona with a striking new livery. It’s KohR Motorsports that posed the greatest threat in 2018 and will look to go one spot better in 2019. Dean Martin’s team performed some amazing feats in 2018 – none more so than a late night rebuild of a chassis to ensure a qualifying attempt at Road America – but came up just shy of the title. Kyle Marcelli and Nate Stacy though enter 2019 with a bit of momentum. The pair shared the winning No. 60 Ford Mustang GT4 with Martin in November’s non-points Michelin IMSA SportsCar Encore in Sebring. 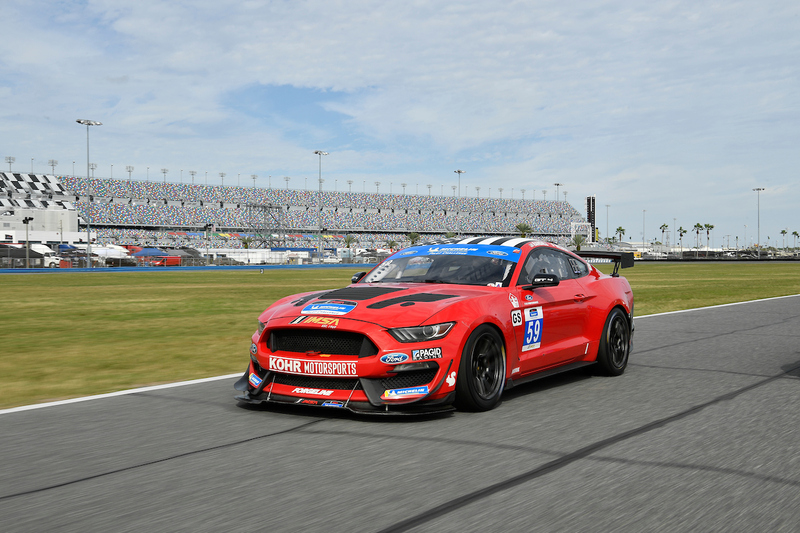 Multimatic Motorsports has a pair of Mustang GT4s entered for Daytona as well. Past GS champs Scott Maxwell and Billy Johnson split and four of Ford’s young NASCAR stars rounding out the cars. Longtime series stalwarts Bimmerworld was third in 2018 points, having ended 2018 on a high with a win at the season finale. The Tyler Cooke/James Clay pairing splits but both should be formidable forces in 2019. Clay continues in Bimmerworld’s No. 82 BMW M4 GT4, with new co-driver Devin Jones. The team’s second car of Aurora Straus and Kaz Grala features two more young chargers. Cooke, meanwhile, shifts to the No. 2 eEuroparts ROWE Audi R8 LMS GT4 with Kenton Koch, a similar young rising star with a similar surname yet a different spelling. That team has added a second entry for veteran Gunnar Jeannette and Rodrigo Sales, another car to watch. Trent Hindman and Alan Brynjolffson shift to Park Place Motorsports this season, with Hindman set for a busy 2019. 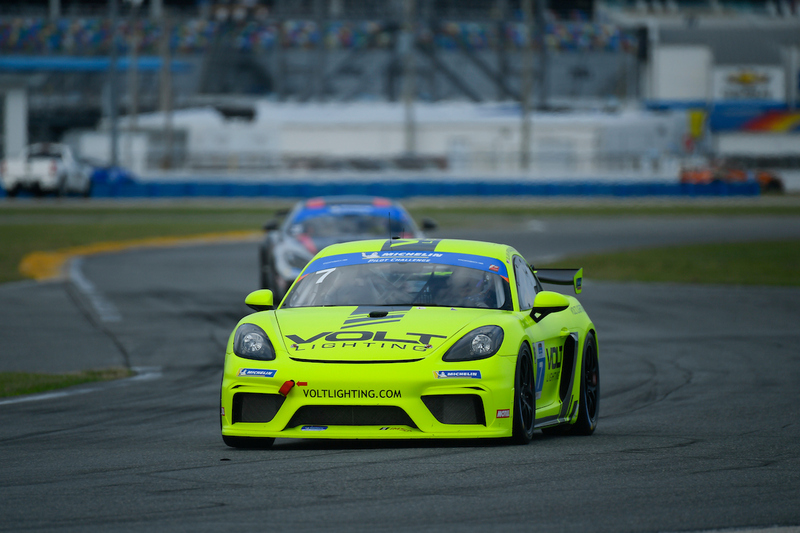 The pair will share one of Porsche’s new Cayman GT4 MRs in the MICHELIN Pilot Challenge. Then Hindman and Park Place strategist Mike Johnson will go their separate ways for WeatherTech Championship action. Hindman shares one of Meyer Shank Racing’s Acuras while Johnson remains atop the pit box for Patrick Long and Patrick Lindsey’s Park Place Porsche 911 GT3 R.
Past series champion Eric Foss and longtime co-driver Jeff Mosing bring both fun and pace to the picture sharing the No. 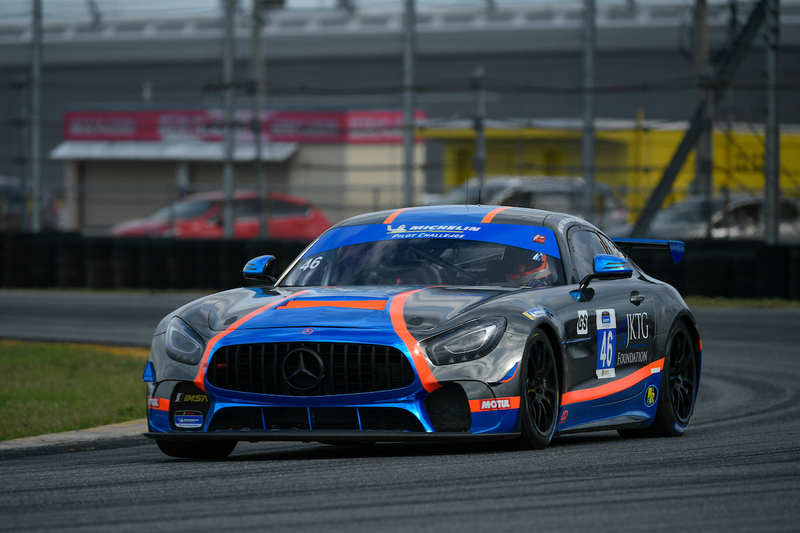 56 Murillo Racing Mercedes-AMG GT4, and will look to bounce back from a challenging 2018 campaign. Past series champs RS1 always tend to excel. Carbahn Motorsports, AWA, Compass Racing, Motorsports in Action, Classic BMW and Winward/HTP all contended in 2018. 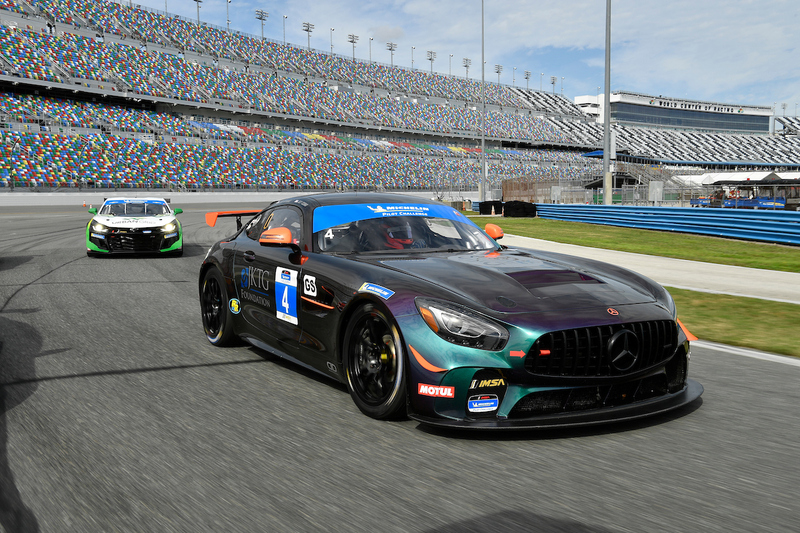 The addition of Riley Motorsports also provides the class a jolt, and Dylan Murry and James Cox figure to run well in a new Mercedes. Likewise, Turner Motorsport is also pulling double duty, with Robby Foley sharing a BMW with the father-daughter team of Bruce and Sydney McKee. Nearly all the TCR class is overflowing with potential heading into the 2019. The class is poised to flourish and grow beyond a successful debut season in IMSA. 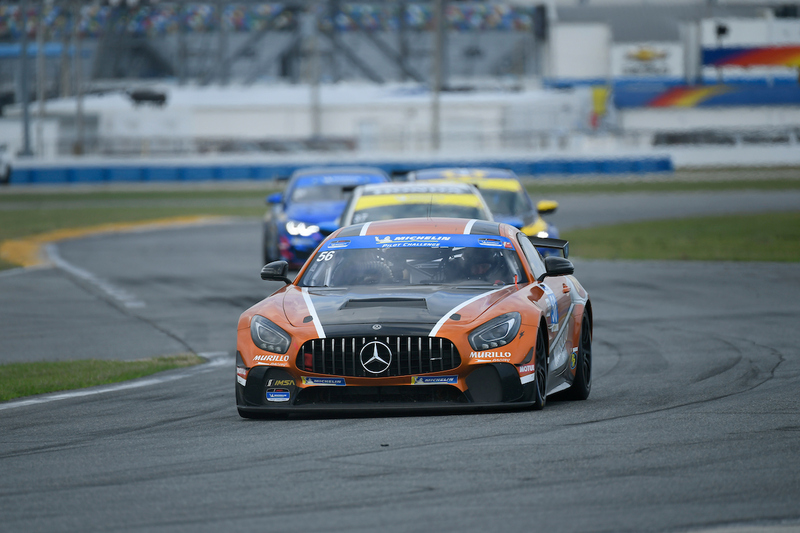 Compass Racing swept the top three places in the 2018 championship but focuses solely on GS for Daytona. Paul Holton and Kuno Wittmer share that McLaren and Holton will also share its new McLaren 720S GT3 car in WeatherTech Sprint Cup later this year. Five Audis start 2019 on the grid. The eEuroparts team expands from two to three cars, featuring a mix of occasional 2018 drivers and some sports car newcomers, such as Russell McDonough. FAST MD Racing brings in a solid trio of 2018 ST champ Nick Galante, James Vance and Jay Salinsky in a car racing to raise awareness for Alzheimer’s research. The JDC-Miller Motorsports team figures to contend again with the pairing of Stephen Simpson and Michael Johnson. Race winners in 2018, this is a popular pair who has grown together from a co-driver and coach to driver standpoint. They came up agonizingly shy of a win at the Michelin IMSA SportsCar Encore when they ran short of fuel to the Mark Motors Racing team. Beyond Audi, the caliber of teams is quite strong. Bryan Herta Autosport delivered Hyundai a manufacturer’s championship in another series last year. Now, its pair of brand new Hyundai Veloster N TCRs should contend for more wins this year. 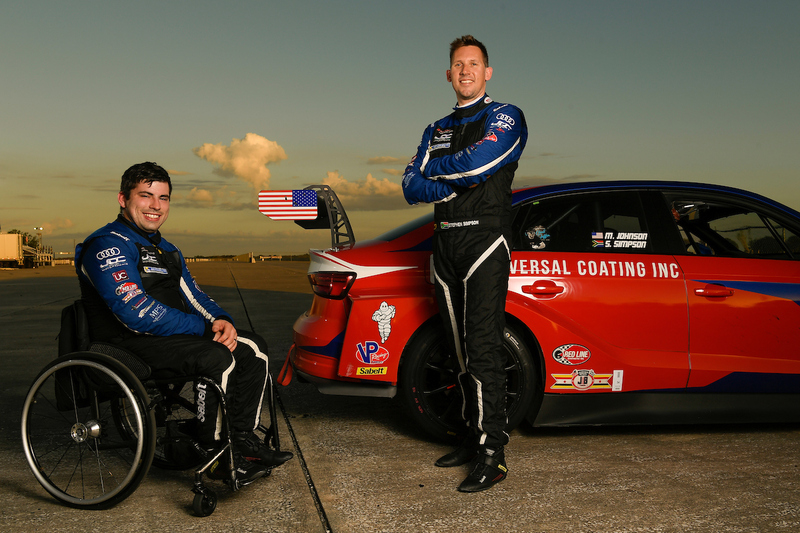 Sports car fan favorite Ryan Eversley and Chad Gilsinger share HART’s No. 89 Honda Civic Type R TCR, nicknamed “Scarlet,” one of five Hondas entered at Daytona. These two were winners in this series’ former ST class. Meanwhile Eversley toppled Herta’s Hyundais to win the TCR driver’s championship in another series in 2018. So there is a winning pedigree here to watch. 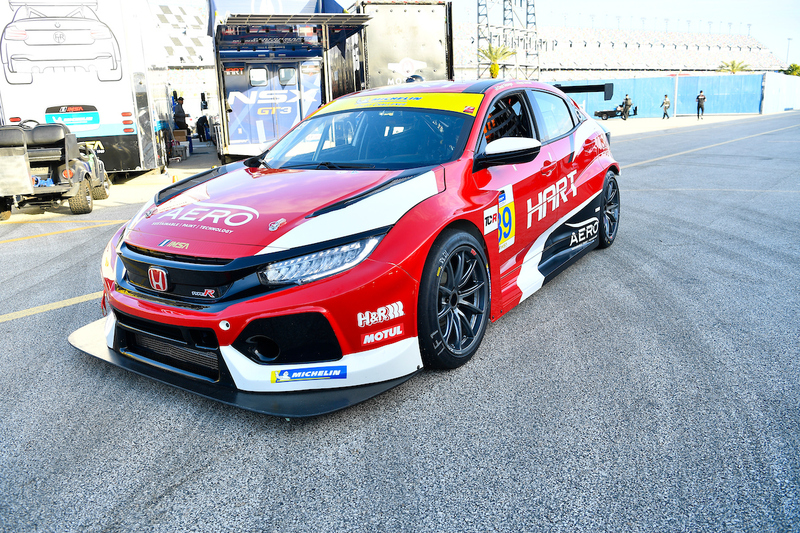 Veteran sports car driver Todd Lamb’s Atlanta SpeedWerks team and Luis Perocarpi’s three-car L.A. Honda World Racing team bolster the Honda roster, all four with solid lineups. Alfa Romeo also arrives with two of its Giulietta TCRs to round out the 14-car class.